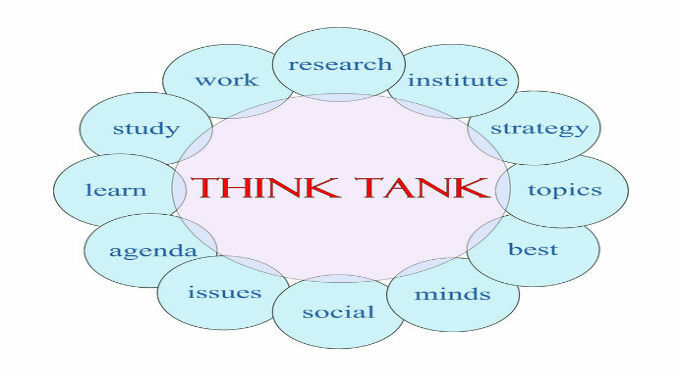 Think tanks provide information and analysis to policy makers and the public, making them increasingly influential institutions in our political process. However, many think tanks—including the Brookings Institution, Heritage Foundation, American Enterprise Institute, Cato Institute, and the RAND Corporation, among others—receive significant financial backing from extremely wealthy corporations and/or individuals. Because the law does not require public disclosure of donors’ identities, these relationships raise the issue of whether think tanks’ analyses and recommendations are “tainted by donor agendas,” according to a July 2013 report by FAIR (Fairness and Accuracy in Reporting). For example, the Center for American Progress instructs its analysts to consult the organization’s development staff (who maintain the closest contacts with donors and potential donors) before publishing findings that might upset its contributors. FAIR found that almost two-thirds of the top twenty-five think tanks have taken money from oil companies, with thirteen funded by ExxonMobil, nine by Chevron, and four by Shell. Representatives of Big Energy also serve as members of many think tanks’ boards. Similarly, half of the top twenty-five think tanks receive money from weapon manufacturers. And, overall, all the think tanks in the FAIR study appear to be influenced by the corporations, foundations, and billionaires who fund them and who seek government policies that favor their own private interests. Like a play on Broadway, the countermovement has stars in the spotlight—often prominent contrarian scientists or conservative politicians—but behind the stars is an organizational structure of directors, script writers and producers, in the form of conservative foundations. If you want to understand what’s driving this movement, you have to look at what’s going on behind the scenes. . . . The real issue here is one of democracy. . . . Without a free flow of accurate information, democratic politics and government accountability become impossible. . . . Powerful funders are supporting the campaign to deny scientific findings about global warming and raise public doubts about the roots and remedies of this massive global threat. At the very least, American voters deserve to know who is behind these efforts. Rick Carp, “Who Pays for Think Tanks? Corporate and Foundation Money Often Comes with an Agenda,” Extra! (Fairness and Accuracy in Reporting), July 1, 2013,http://fair.org/home/who-pays-for-think-tanks. “Not Just Koch Brothers: New Study Reveals Funders behind Climate Change Denial Effort,” Science Daily, December 20, 2013, http://www.sciencedaily.com/releases/2013/12/131220154511.htm. Robert J. Brulle, “Institutionalizing Delay: Foundation Funding and the Creation of US Climate Change Counter-Movement Organizations,” Climatic Change 122, no. 4 (February 2014): 681–94, http://link.springer.com/article/10.1007%2Fs10584-013-1018-7.